If I’ve learned one thing from parenting in general, it’s that what works for one baby, doesn’t work for every baby. Like life, babies are like little boxes of crying, pooping, and laughing chocolate and that you never know what you’re going to get. That said, there are few key things that we love and use all the time that you might love too! 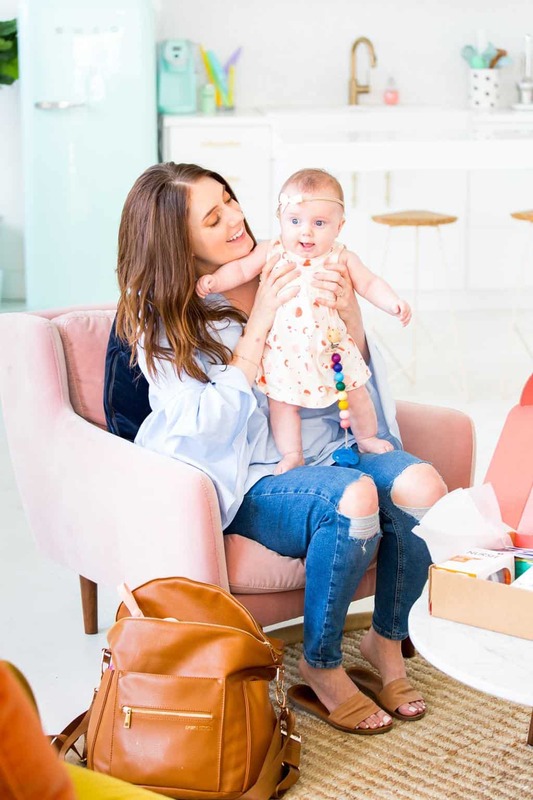 So I’m sharing my favorite baby products to register for in case you want to add some of them to your arsenal. When we registered for our Gwen, I had never heard of Babylist before (so sad, I know!). 1 in 5 first time parents uses it to register for baby, which makes me clearly out of the loop! As was my relationship with most things parenting related, haha. It’s a registry site that lets you add any items from any store, from Etsy to Amazon, to create one shoppable list by a simple browser button (much like using Pinterest, which I know you know well!). You can add custom gifts like homecooked meals, a cash fund to create a savings accounts for baby, etc. 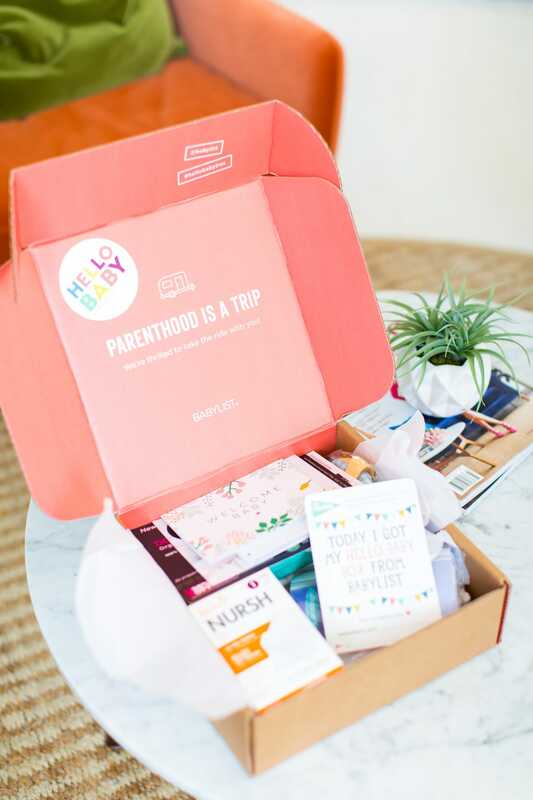 Plus you can qualify to get a pretty cool Hello Baby Box welcome gift when you register (I included lots more deets on the welcome gift at the end of the post!). The box I received happened to include one of my FAVORITE things, the Windi! If you’ve ever used the Windi, you know the sweet relief is worth it haha. You can also see my full sample registry on Babylist right here! 1. Nursing Pillow: anything that makes breastfeeding easier is a win in my book! This was one of those items that I really loved that was also versatile for propping baby up to chat and coo with them too. 2. Fawn Design Multi Wear Diaper Bag: You all helped me pick a purse style diaper bag a few months ago, but if you can only snag one style, this backpack holds so many things. 3. Fawn Design Diaper Bag Organizing Insert: This is a great insert for the diaper bag to help you stay organized and be able to switch bags quickly and easily if you want to! 4. 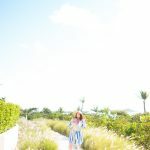 Doona Stroller/Car Seat: My friend Carrie introduced me to this piece of infant magic, and I’m telling you, it has SAVED us when traveling with Gwen. It’s a stroller and car seat all built into one! It makes Ubers, airplanes, and shuttles a breeze with baby. 5. SNOO Modern Smart Sleeper: I’ve had so many friends that have raved about this bassinet for helping baby sleep through the night, so it was at the top of our wishlist. 6. Babylist Gift Card: You can’t go wrong with gift cards! 7. Mint Diaper Pail: We use this literally all day, every day! 8. Confetti Print Onesie: Any of the sleeper/onesies that zip are worth it in my book! You spend so much time being home with baby at the beginning, that anything that zips and unzips quickly for easy diaper changing is a must. 9. Hatch Night Light/Sound Machine: This is a really cool product that you can use well into toddler ages. It’s a nightlight, sound machine, and alarm clock all in one. You can see the light to change colors to let your toddler know when it’s no longer “sleepy time” and it’s okay to wake up. So cool! 10. Mini Disinfectant Spray: I never leave home without these! They’re non-chemical based cleaners that are great for quickly sanitizing any hard surfaces, pacifiers, bottles, etc. 11. Baby Shusher: Our magic diaper bag trick! It sets a timer to “shush” baby and it works like a charm, I pinky swear. Great for them fussing in the car, fighting nap times, diaper changes, and more. 12. Boon Grass Drying Rack: another one of our daily used items for cleaning all things baby. 13. Dock-A-Tot Deluxe: The Dock-A-Tot is awesome for having a compact travel lounger, an easy place for baby to rest in the living room, or taking to grandma’s while you’re watching. 14. 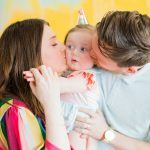 Confetti Nursing/Carseat Cover: I love things that are multi-purpose, and this nursing cover works for a car seat cover that let’s fresh air in, a nursing cover, and I even use it for keeping out light to rock her to sleep on the go. 15. Silicone Pacifier: We tried allll of the paci’s and this one worked like a charm. 16. Organic Swaddle Up: Gwen always had her arms near her face in ultrasounds and after she was born, so we immediately got these swaddle up swaddles. 17. Owlet Smart Sock Baby Monitor: The Owlet is a TOTAL sanity saver. It brought me so much peace of mind knowing that we would be alerted if her heart rate or oxygen levels dropped! 18. Rainbow Pacifier Clip: Another favorite that we use every day! 19. Whale Tub Thermometer: I thought I knew the right temperature just by the touch for bath time, but realized I was making it too warm thanks for a bath thermometer. 20. Organic Diaper Balm: Gwen has really sensitive skin, so we use this almost every diaper change as a natural preventative barrier against diaper rashes. 21. Boon Soak Bathtub: A minimalist baby tub that we love. 22. 3-in-1 Organic Bouncer: A very chic bouncer design that folds flat for easily storing away and ample portability. 23. 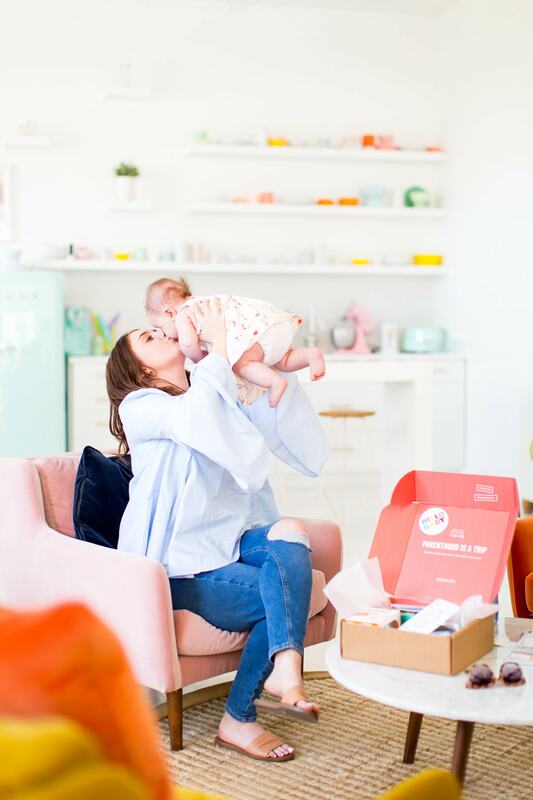 Baby Probiotic Drops: I had never heard of these before having a baby, but so, so many moms and pedis recommend this brand. It’s worked great for Gwen on keeping her diapers more regular! 24. Portable White Noise Machine: We use this for naps while traveling, at the studio, or in the car almost all the time! 25. Wipes Case: So much easier for quickly grabbing wipes and making sure they stay airtight on the go. 26. Grow Scale with App: Gwen is a serious CHUNK. We loved keeping up with how much she weighed while also having an easy to sanitize and wipe down changing station. No need to fool with the fabric covers that you have to constantly wash! 27. Convertible Complete Stroller: Literally the mercedes of strollers, we LOVE our UPPA for using at home and keeping in the car for quickly making her car seat into a stroller. The storage underneath is awesome. 28. Striped Wrap Carrier: It took me a little while to get comfortable with these, but now I rely on them all the time for getting things done around the house with Gwen! 29. Travel Backpack: a must for using the Doona on the go when you need to gate check it. 30. Pink and White Diaper Dispenser: for easily grabbing wipes during diaper changes. 31. Bitty First Aid Kit: a great value for the infant necessities! The Frida brand is our favorite. What were some of your baby must-haves? With every new growth spurt and age we get to, we add new favorite things to our list for surviving that stage. For people so little, they sure come with a TON of things. 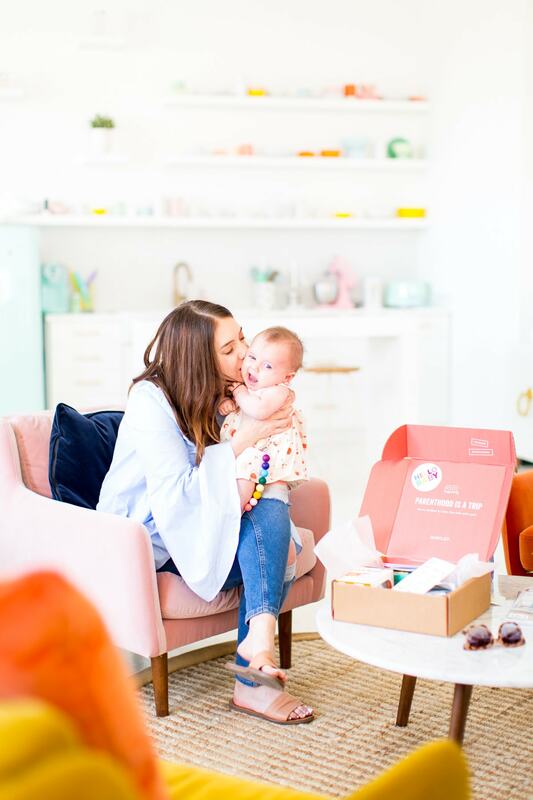 If you’re on the parenthood horizon or needing a baby gear refresh with sprinkle shower, you can sign up for Babylist right here! 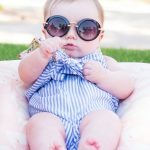 Thank you to Babylist for partnering with us on this post! Sugar & Cloth has chosen to donate 5% of all sponsored campaigns to charity, which you can read more about right here. As for Hello Baby Box welcome gift, it’s open to US residents only with limited quantities and the contents will vary by box. I Have Some Mama Questions! YES! 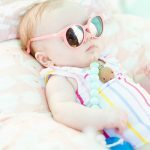 I used Babylist to register and it is the best! Most of these things are already on my list but if they are not, I am adding them now! HAHAH! Do you use both the Snoo and the owlet together? I thought the movement of the Snoo would make the owlet ineffective. Thanks! Thank you so much for the tip Joseph! We definitely love being able to support small shops as well! What a genius idea ! Thank you ! Thanks for sharing the list and also its link, It help me a lot and save my time. Your favorite baby products are also products that other babies like. Thanks for sharing this article. I appreciate it. Thank you! We will do more baby/kid product posts in the future too!